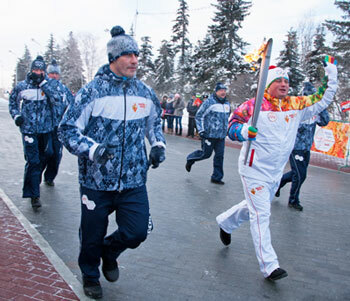 Even if you haven't been struck with Olympic fever quite yet, the start of the 2014 Winter Olympics in Sochi, Russia, this week is sure to ramp up your excitement to Olympic levels. But with more than 2,500 athletes competing in 98 different events, how is it possible to keep up with everything this year's games have to offer? From television to apps to social media, we'll show you how to stay on top of this year's games. NBC's time-delayed coverage starts on Thursday, Feb. 6 (though the opening ceremonies are on Friday), and runs through Feb. 23. During this time NBC's prime time schedule will be taken over by the Olympics so you won't be able to see your favorite shows until the games are over. Cord cutters should invest in an HD-capable antenna to get the best view. However, NBC will only be broadcasting a selection of Olympic events and mostly during prime time. For the entire show, you'll need to tune in to NBC cable sports affiliate NBCSN. NBCSN will air live coverage starting Saturday, Feb. 8 at 3 a.m. ET. The catch is you'll have to log on with information from your cable provider in order to view any video — but once you do, you can stream everything the Olympics has to offer. If you're a cord-cutter or you're only interested in catching Olympics highlights, look to YouTube. 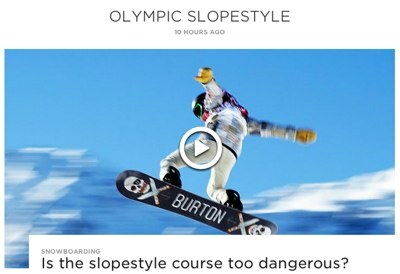 The YouTube pages for the Olympics and NBC Olympics will have highlights and the latest video coverage. Stay on top of Team USA's progress with the Road to Sochi app for iPhone and Android, and Windows phones featuring news, scores and the stories behind the Americans participating in this year's games. For updates beyond Team USA, you'll want the Sochi 2014 Results app for iPhone, iPad, Android and Windows Phones. It's the quickest way to find schedules, scores and other news straight from Sochi. 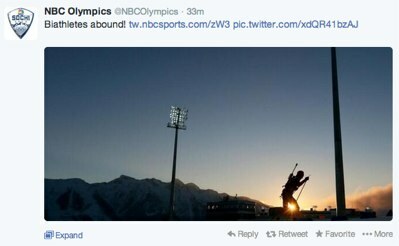 Social media is the place to get Olympic news fast, from the latest scores to live photos and video. NBC will have the official word on the games, and they're available wherever you want to follow them. Find NBC on Twitter, Facebook, Instagram and Vine. Not enough? 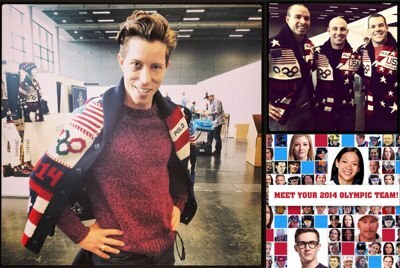 Follow the official pages for Sochi on Twitter and Facebook or the Olympics on Twitter, Facebook and Tumblr. If you're craving still more Olympic excitement, NPR has created easy-to-follow Twitter lists of athletes and media attending this years' games, so you won't miss the action from any perspective. If you want to keep it simple, then just Like the official Facebook page for the US Olympic team. However you prefer to take in media, tech offers you plenty of options for keeping up with the Winter Olympics. Now there's nothing to do but enjoy the Games and see who takes home the gold.